I live in your city. I live among all of you. You know me. But you don’t know what I hide. I grew up in an abusive environment. My immigrant parents, believing they were doling out tough love, never relinquished an opportunity to try to “straighten me out.” My earliest memory of being beaten is the age of 3 or 4. I didn’t finish my milk. And I lied about it. The thing is, I hated milk. It made me gag. A feeling of repulsion would come over me as the glass came close to my mouth. I tried to talk to my parents about my extreme dislike. They wouldn’t listen. “There are children starving around the world. You will drink it.” This became a metaphor for every struggle between me and my parents. Somebody would score higher than me on a math test – the whip came out. If I didn’t say please, I would be slapped for being impolite. I was bound and tied, mouth taped and beaten until I had welt marks on my arms and back for the smallest of things. This lasted for years, mostly at the hands of my father. But my mother never said anything. She stood by him silently, his loyal subject. The emotional abuse was even more scathing – “Why were you born to us,” “Go to hell,” or “You’re ugly.” It’s amazing how much a child’s brain processes. I felt unloved and scared most of my childhood. Lying became my defense mechanism, hoping each time that that would be the one time I wouldn’t get caught. Somehow I always was, and my body, mind, and heart would bear the brunt of the beatings. When I was 13, we went on an overseas trip to visit family in my parents’ homeland. We were staying at a relative’s home. There was another young man staying there at the time – an adult distant cousin to one of my cousins, not related by blood. I can’t remember all the details of that visit. I remember playing an innocent game of “hide and seek” and finding a great hiding place behind a hut. That distant cousin was hiding with me. Suddenly, his mouth was on my mouth. Before I could even internalize what was happening, he started telling me how pretty I was and how he thought he was falling in love with me. For a child who had never received any emotional love, his affirmations were music to my ears. When he would touch me, I remember freezing, not knowing if I should resist for fear of being beaten. These clandestine interludes continued until we left – I honestly can’t remember if it was a few days or a couple of weeks. We returned home, and I never heard from him again. Somehow, I knew enough not to share anything about that experience with my family. A year later, in a high school English class discussing “Romeo and Juliet,” I found myself sharing some of the “details” from that family trip with a close friend. My English teacher overheard me and pulled me outside of the classroom. A sense of fear and dread washed over me – once again, I believed I had done something wrong and I was about to suffer the repercussions. Once outside, however, her concerned voice allayed me. She didn’t poke or prod or ask me uncomfortable questions. Instead, she told me that nobody should ever touch anyone without permission, and more importantly, that an adult should never take advantage of a child in that sort of inappropriate manner. My high school years went by and the physical and emotional abuse at home intensified. Nothing I did was good enough. My grades weren’t up to par with my parents’ friends’ children. I was a failure in every sense. I often thought about suicide, not because I lost the will to live, but because I wanted to find a way to inflict pain on my parents. But then I decided they didn’t love me enough to even feel pain if I was no longer around. Killing myself would only give them what they wanted – a life without their miserable daughter. I couldn’t wait until college – it represented freedom from my hell. However, once I did get to college, I didn’t have the skills necessary to navigate the maze of social situations. Alcohol, boys, all of which had been previously taboo, were now no holds barred. After all, my parents were no longer around. I met a young man – we had so much in common. We started hanging out, and before long, we were dating. As things progressed, we went a little bit too far one night without any sort of protection. Thinking I was being responsible, I went to the health clinic the next morning and received a prescription for birth control pills. I started taking them as soon as I could, but it was already too late. That one indiscretion led to an unwanted pregnancy. I had no other recourse but to get an abortion. I was so grateful for that choice. I knew that I would never be able to face my family with the alternative. Before I even had a chance to process the emotional implications of my actions, I retreated to my modus operandi – I compartmentalized the experience and buried it in the recesses of my mind. After the procedure, I tried to go back to some semblance of a normal, student life. It didn’t work. My relationship fell apart, many of my friends began to judge me for my decision, my health began to deteriorate, and my grades began to suffer. I was forced to move back home, and the hell from my childhood resurfaced. The abuse began almost instantaneously. I felt trapped and suffocated and existed quite lifelessly. It was impossible to focus on school. After a couple of years, quite by happenstance, I met another young man. He was thoughtful, funny, and most of all, kind. We dated secretly for a few months and decided at some point to get married. Not only did I want to spend the balance of my life with him, but marriage also provided a respite from the abusive life I was leading at home. This, I thought, was my chance at happiness. We got married – but I never finished college. I didn’t tell my husband nor anybody else; instead, I jumped into work and we led what I thought was an idyllic life. Years passed. We had children. They grew up and settled into their own lives. My life was normal. And I thought my secrets and the horrors from my childhood were behind me. But, as I have found out, nothing ever leaves you. Faulkner once wrote, “The past is never dead. It’s not even past.” Pain has a way of morphing itself inconspicuously. The sting, however, would unknowingly pierce every decision I ever made. The triggers from last week’s Kavanaugh hearings have almost been too much. A tsunami of guilt, memories, and regret overcame me as I listened to a virtual stranger on my television recount the same fear, anxiety and pain that I have tried to suppress for decades. The familiarity was palpable. The buried hurt, the violation of trust, the searing words have all resurfaced. And I don’t know what to do with all of these emotions. Seeing my ordeal in words as I type them for the world to read is surreal to me, as I’ve shared only bits and pieces of my past with fewer than a handful of people. Yet, I find myself bound and tied, once again – this time by society. And by virtue of my immigrant family, I find myself living in two different worlds – modern-day America, through whatever lens it is viewed, and the culture of my roots that is often mired in patriarchy and misogyny. Those cultural battles are almost always difficult to fight. The stigma of my past would practically banish me from my circles, or so I fear. I wouldn’t be able to withstand the whispers or the conversations behind my back. The other side of it is that my story is not mine alone – it’s inextricably woven along with my siblings’, parents’, friends’, family’s experiences. Publicly sharing my ordeal would be putting an undue burden on them – protecting their anonymity and privacy is important to me. But trauma doesn’t have a shelf life – even if specifics aren’t remembered, the pain is real. My abuse was real. My sexual assault was real. And those experiences adversely affected much of my decisionmaking throughout my life. Their imperceptible tentacles always had a grasp, even when I didn’t realize it. As I listen to people question Dr. Ford and other victims, I so badly want to shout out, “Me Too!” and let my truth set me free. The reality is, though, that as a society, we haven’t created enough safe spaces for our stories to be told without judgment and without consternation. 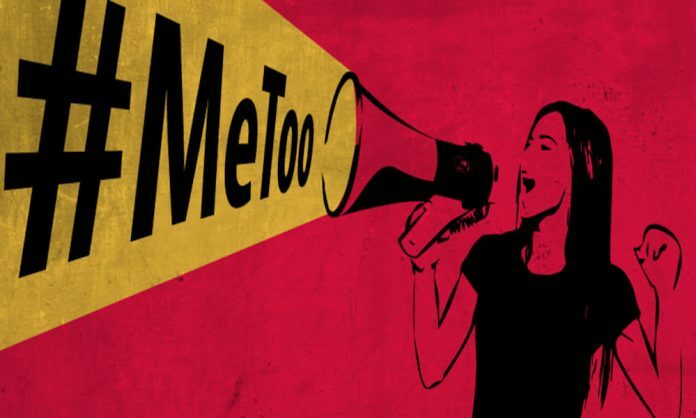 And even though the #MeToo movement has created some sense of the scope and vastness of the issue of sexual assault, I still wonder if it runs true in my cultural community. But I’m too afraid to test the waters. I worry that I will be shunned for misinterpreting moments or remembering incorrectly, or worse, be blamed for someone else’s inability to control their actions. I shouldn’t have to live through this labyrinth of self-doubt and pain and take it to my grave. I can’t stop the thoughts that are now permeating my mind. I need to unpack – the load is just too heavy. These are the wounds that time can’t heal. So I hide behind a computer screen hoping my words will resonate with someone – maybe a parent who is confusing abusive behavior with discipline, or a young child who is living a similar nightmare. And maybe my story will encourage them to seek help or to talk to someone. I write this also because I live in your city. I am your friend, and your sister, your wife, and your daughter. I sit alongside you at ball games, bunco, galas, board meetings, book clubs, concerts, and parties. I am next to you. Yet I am all alone.